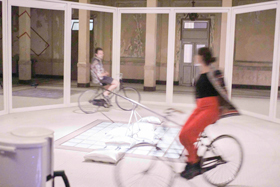 (2016) interactive installation, bikes and steel. How to make focus an audience on the sensations of a movement and so on apprieciate biking not as a transportation system but as a mechanical experience. 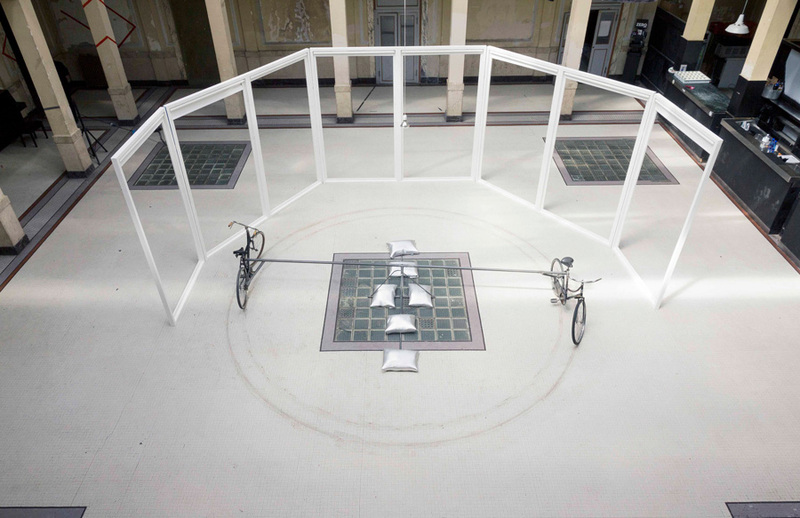 This installation is composed of two bikes link by a tube of 5 meters which is itself connected to a "rotor-pillar" The bike is not anymore an object made to go from a point A to a point B, but an object which can provoke a perpetual movement that the audience can take time to experience. 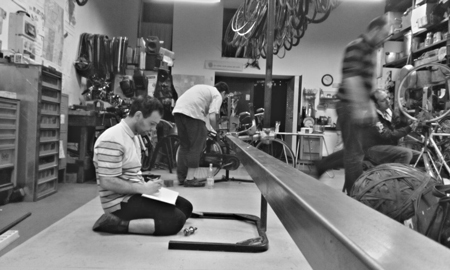 To make work Track Bikes a crucial point is that the users have to pedal with the same intensity. 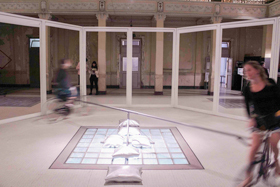 If they do not coordinate their movements, the installation might not work smoothly. The vehicule is not here a technology which isolated and encapsulate the driver. Here to move means to get linked with another person. 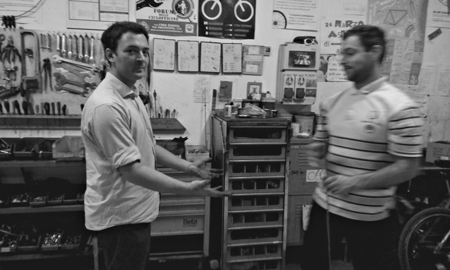 Rocco Guarna, one of the most ingenious italian bike mechanic, president of the B+C associazone.